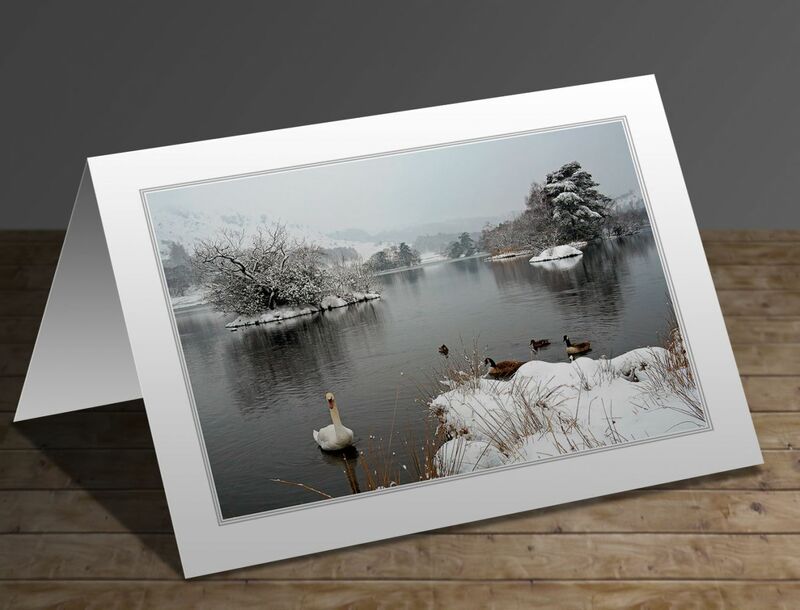 The write-up on the reverse of this greeting card will be 'As I made my way home through the Lake District, this beautiful scene just had to be entitled Swan Lake at Rydal Water. It was bitterly cold, but I enticed the swans, geese and ducks with a little bag of seed that I keep in my camera bag. I suspect they were very hungry as the ground was frozen hard'.